Price (each) – €195 (25cm x 23cm x 13cm). 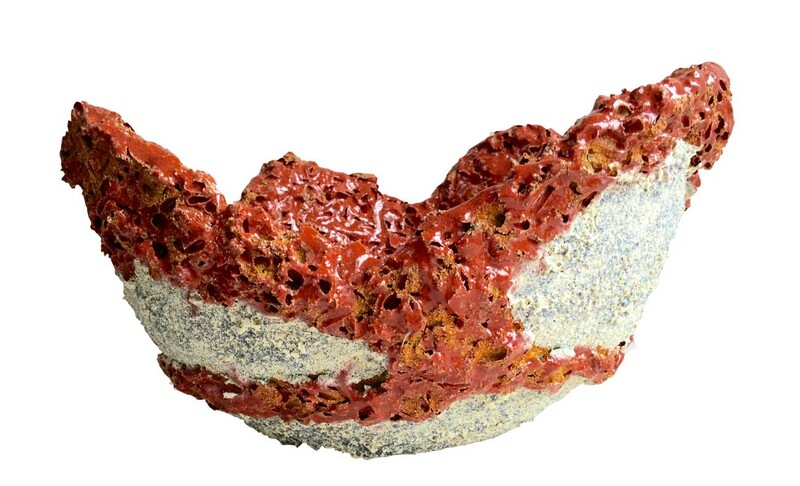 Red coral volcanic ceramic sculpture/vessel. This piece is 25cm x 23cm, with a height of 13cm. It is priced at €195 each. 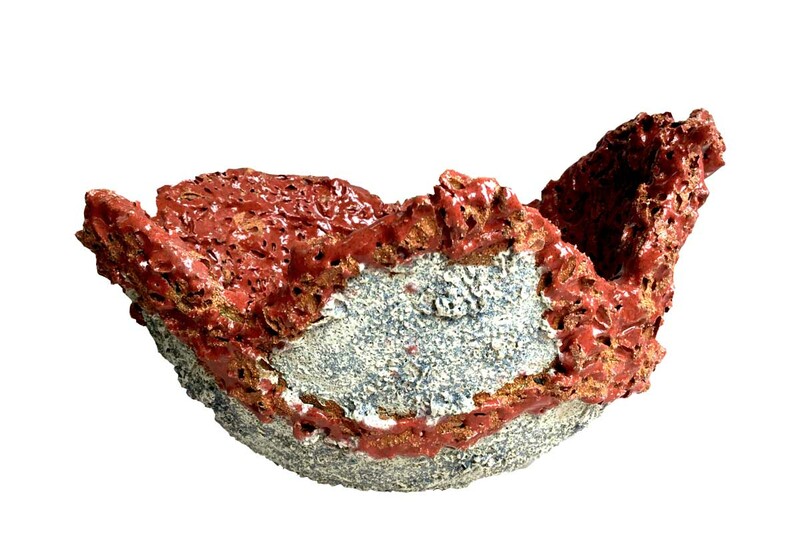 Combustible mixed media surface detail (plant material) with volcanic glaze. 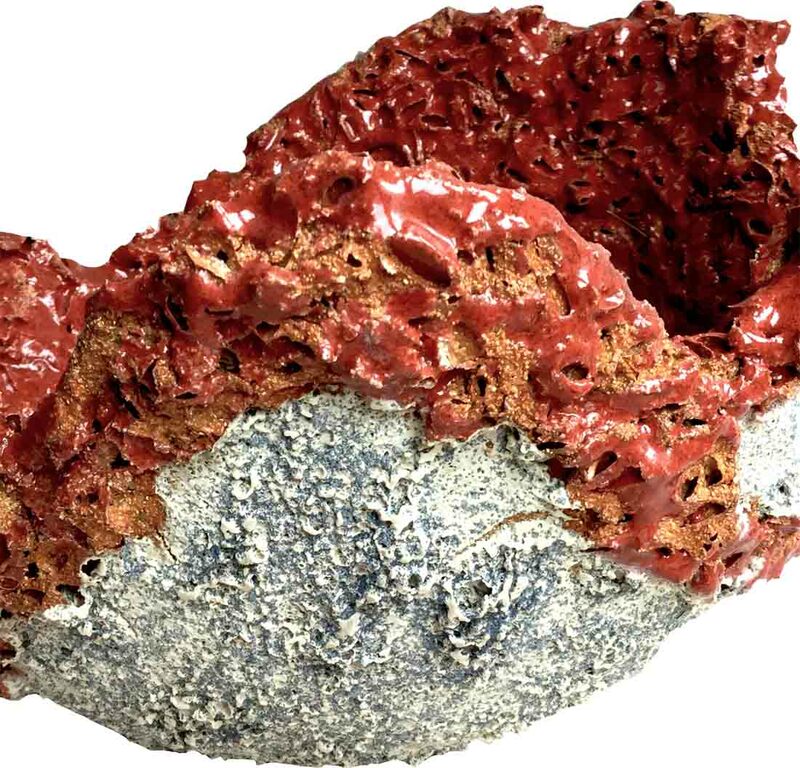 The dark red reactive gloss glaze combines rutile and iron spangles – giving it an iridescent quality in certain light as well black speckles. Inspired by coral forms and lichen. Suitable for both indoor and outdoor use. Would suit a commercial, residential or garden setting. 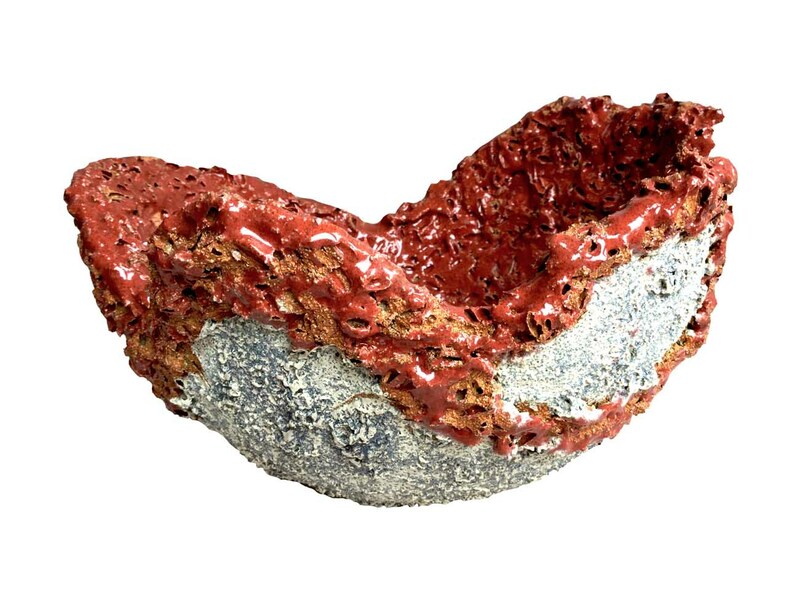 This piece is non-functional – not suitable for food use. 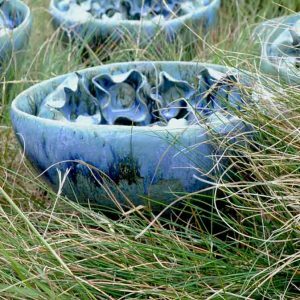 Each piece is unique; dimensions may vary as will the glaze finish. Hand built and modelled in my studio in Dublin using in a grogged stoneware clay body and fired in an electric kiln to 1260°C (Cone 8).